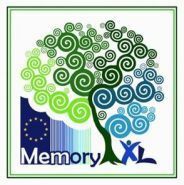 MEMORY in Later Life is a Grundtvig Learning Partnership project of six organizations from Poland, Germany, U.K., Hungary, Greece and Italy aiming to explore various practical memory and mnemonic rules, methods and techniques which might be implemented by teachers and seniors in order to help them perceive and use their memories more positively. · practical memory and mnemonic rules, methods and techniques best suited to supporting memory in later life learning, extracted from various sources including personal experience, proverbs, literature, films, art etc. · the best rules, methods and techniques which may be incorporated into the teaching/ learning process in general and also in relation to particular subjects. During six international meetings partners, senior learners and teachers will discuss and evaluate the outcomes of memory learning activities carried out locally and will develop plans for further local activities and the ways in which they will be carried out.